1) Standar telephone line, 2) GSM mobile line. 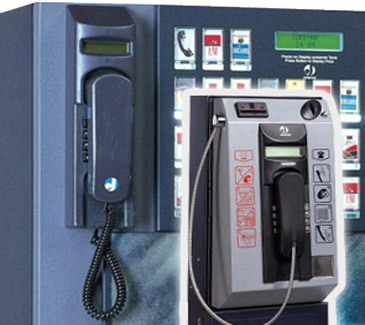 This telephone is the solution to controlling at any location the supply to the user of public telephony, with connection on Telephone line or by GSM. 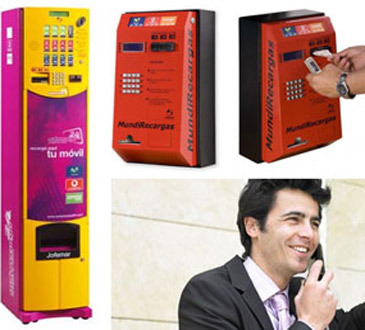 It offers messages SMS, Fax and email and an administration / programming software for computer. Ideal device for external locations, compatible with any mobile telephony operators. Telephony operator can be chosen on the keypad. 12 numeric keys and 4 keys for special options. Big lightened LSC screen. Credit reloads instructions by voice messages. Dimensions: 480 x 270 x 220mm. Weight: 15 Kg. Ideal device for external locations, compatible with any mobile telephony operators. Main keypad for labels and functions keypad with 12 numeric keys and 4 keys for special functions. Big lightened LSC screen. Credit reloads instructions by voice messages. Dimensions: 1600 x 363 x 405mm. Weight: 76 Kg. 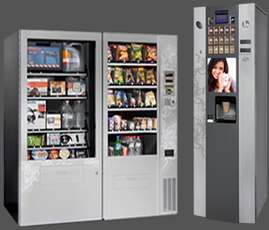 Gr Vending offers you the possibility of paying in installments with your credit card to get the vending machine you need. We accept Visa and MasterCard. Please contact us for information.